This Insulated Rubber fishing glove great for commercial fishing and recreational uses. 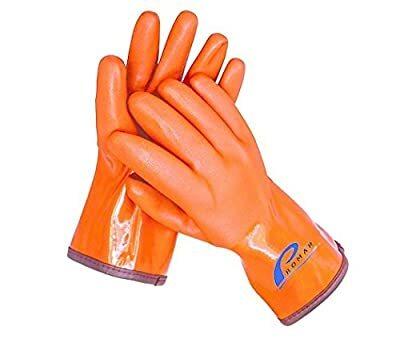 Promar ProGrip Gloves are insulated and have a solid grip even when wet. Great for cold weather fishing.